Nearly a year after he went on the lam, provincial police are putting a call out for information on a wanted felon. Unlawfully at large since April 2016, Garfathe Kooner was serving a three-year federal sentence for numerous firearms offences and is also wanted by police in Windsor for charges including surety removal and fraud over $5,000, and by the Essex detachment of the OPP for other firearms charges. 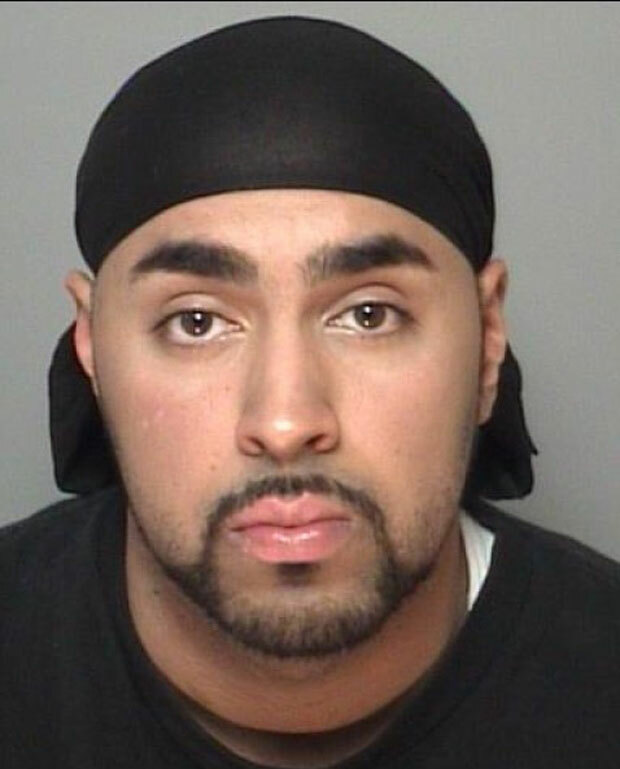 The OPP’s Repeat Offender Parole Enforcement (ROPE) Squad says Kooner is known to frequent the Greater Toronto Area, as well as the Windsor area. Kooner, 31, is described as a non-white male of Middle Eastern origin, standing six feet and three inches tall and weighing 241 pounds. He has brown eyes, a shaved head and a dark goatee that may have been shaven clean. He has several tattoos, including a tiger on his right forearm, tribal symbols on both forearms, barbed wire on his right wrist and the word “Punjabi” on the right side of his neck. Anyone having contact with Kooner or with knowledge of his whereabouts is asked to call the ROPE Squad at 1-866-870-ROPE (7673), Crime Stoppers at 1-800-222-TIPS (8477) or 911.